This car is part of the Brussels Tram Collection. It was built in 1934 as car # 1290. 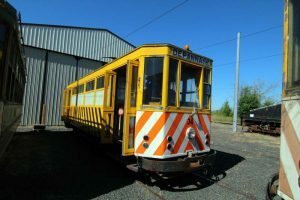 It was converted to work service in 1971 and renumbered as car # 34.